Land Commissioner George P. Bush said Friday that a draft audit critical of his agency’s oversight of the Alamo had been “doctored” and is now the subject of a law enforcement investigation. Citing an ongoing probe, neither Bush nor his aides offered details about how the audit of Alamo Complex Management — prepared by his agency’s own internal audit staff — was changed or who changed it. Bush spokeswoman Brittany Eck said the agency looking into the matter is the Texas Department of Public Safety. She said the audit is part of an investigation that began when the agency began looking into whether “personally identifying information” had been shared outside the agency. A copy of the audit obtained by The Texas Tribune, dated Sept. 8, 2017, found that the “unusual” apparatus Bush put in place to manage the Alamo did not comply with all state laws and requirements and is more opaque than it needs to be. “We determined that the financial formation and accounting of the Alamo Complex fund did not comply with state requirements,” the document says. The draft audit, which the Austin American-Statesman reported on Thursday, also warns that some of the expenditures incurred so far “can give the appearance that state funds are being used improperly.” That includes $1,400 spent on “refreshments” for meetings and a “party,” the audit said. Bush said management’s response to the audit was “forthcoming,” and he vowed to abide by all laws governing the management of the Alamo, now a hot potato in his re-election contest. “We will make sure that we are meeting all of the legal requirements that are established by the Legislature, and … will follow the mandates that the Legislature sets forth,” Bush said. In 2015, the GLO fired the Daughters of the Republic of Texas, an organization of women who can prove their ancestry in Texas prior to its annexation by the United States, from managing day-to-day operations of the Alamo. Bush then began a global solicitation process to find a new firm to take over day-to-day management of the Alamo. 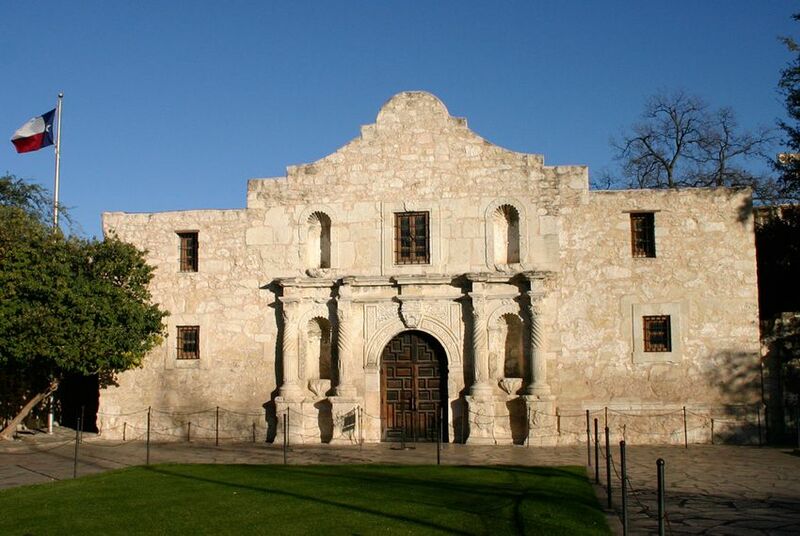 When that process turned up empty, Bush said the agency decided to establish Alamo Complex Management — housed under the Alamo Endowment — to run the Alamo. Texas lawmakers have complained that under this system, state money is being used to pay for the Alamo's operations without the sort of controls and transparency a government agency normally has. The draft audit drew a similar conclusion. "The current situation obscures the control of the funds," the draft audit says. "It also has created a situation where GLO is responsible for state laws over the use of the funds, but with limited control." Bush chairs the board of directors of the Alamo Endowment. Employees of the nonprofit that operates the Alamo — now called the Alamo Trust — are not state employees, although the land office gives the trust state money to pay their salaries. Former Land Commissioner Jerry Patterson, one of Bush’s GOP primary election challengers, has made the management of the Alamo a key issue in his campaign. Patterson said the information in the draft audit is accurate. “This internal audit has been in draft form for five month‎s because as long as it's a draft, it's not subject to open records requests,” Patterson said.